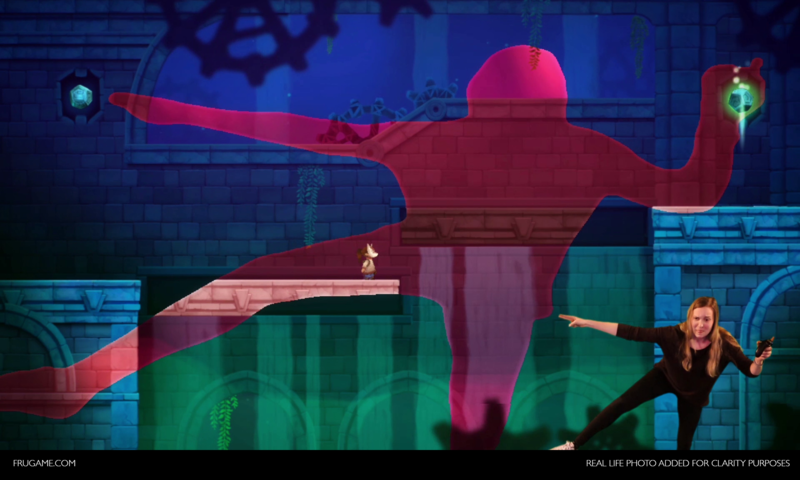 FRU is a puzzle platformer that features an innovative use of Kinect, in which the player’s silhouette becomes a “portal” between two worlds. Solving puzzles by strategically positioning one’s body, combining physical interaction with traditional platforming, FRU introduces new ways of interacting with a game. The game features four completely different chapters, all based around innovative use of the player’s silhouette, with a unique twist to each of them. In addition to moving and balancing the body to solve levels, players will also find themselves swimming inside a silhouette, striking crazy poses to activate contraptions, and awkwardly tiptoeing to avoid dangerous hazards! FRU is nominated for the Creative Gaming Award in the category “most creative game”.